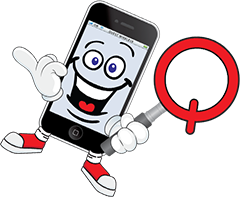 Quest Wireless gladly accepts all electronic devices for recycling: with its focus on cell phones, tablets and iPods. Consumers in the U.S. discard their cell phones on average after just 18 months. Yet, cell phones contain toxics-rich semiconductor chips, mercury, cadmium, lead, and galium arsenide. The biggest hazards are the phone’s chip-containing circuit board, liquid crystal display, and batteries—followed by the hard-to-recycle plastic casing. Members of the cell phone industry estimate that in 2003 there were 500 million old cell phones either going unused or already in the waste stream, and that 100 million more are discarded each year. A Green Living Magazine report cites research from the group INFORM, indicating that 500 million phones in landfills could reach as many as 142 tons of lead. Uses of recycled phones and parts. Recycled phones and their parts (batteries and cords) can be used overseas by people who can’t get or cannot afford regular telephone service. Either phones may be re-programmed and re-used, or working phones may be made from scraps. Used phones from the U.S. may cost about 25 percent of the price of a new phone in developing countries. Many of your broken, obsolete, or unwanted gadgets are just waiting to be reincarnated. Bring them to us and we’ll make sure they’re properly and safely recycled, so they have the chance to, perhaps, come back as something more wondrous. It’s all part of our efforts to make Earth a greener planet. iPhone Repair, Cell Phone Repair, Cracked Screen Repair, Used and New Cell Phones, and Cell Phone Service.